The natural color of the leather straps will give me the leg-lengthening effect I desire, while the 6.25" heel and the 2.5" platform add both comfort and stability. Unlike some platforms which are heavy and tiring to walk or dance in, I'm pleased to report after wearing them around the house that these are incredibly lightweight. 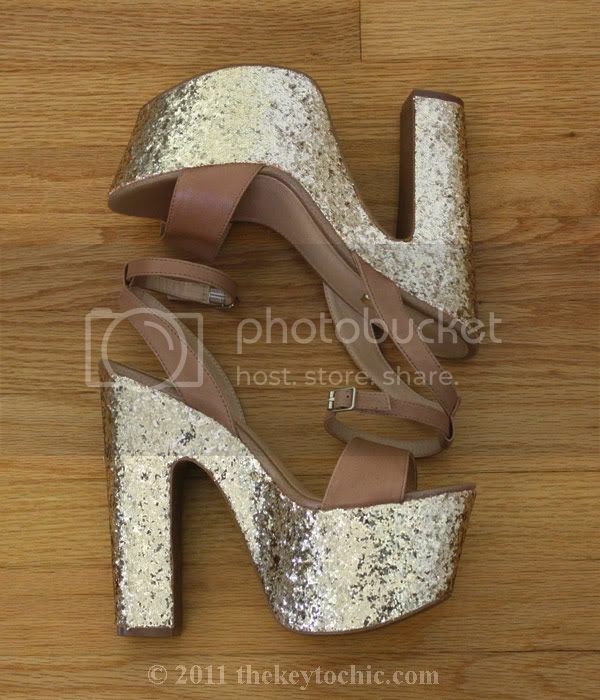 They are currently the most vertiginous heels I own, and the true test of comfort will come when I wear them to a wedding later this summer and test them out on the dance floor. Wild Pair 'Sister WP' heels in light tan, $110. April 4, 2017 update - Shop a similar style by Jessica Simpson.